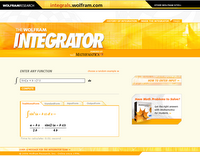 Mathematica Calculations Online! ~ Android Forever! This web site is for people who have difficult mathematical calculations to do and need some help from the great silicon god. Powered by Mathematica software, this popular site allows you to enter stuff like Sin[a + b x]^2 into the formula box, click "Compute," and get the answer immediately. I'll bet this will help with homework. It's been a long time since I did differential calculus and fooled around with integrals, but I would have killed to have something like this. Back then we had to use our HEADS! Anyway, I know that some of you are into these things. 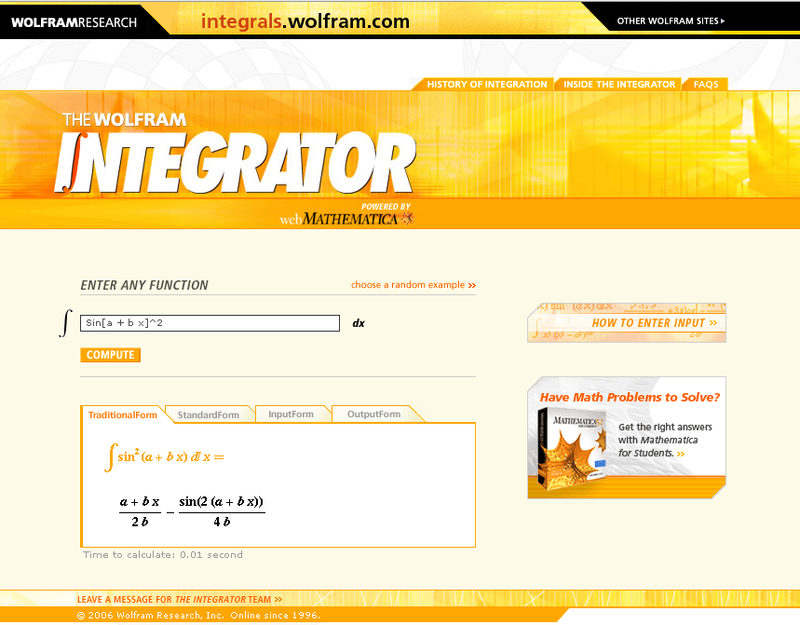 So check out The Wolfram Integrator, and have fun!